Enter your CMA CGM container tracking number below, should have format CMAU1234567, get the real-time CMA CGM container status. CMA CGM was founded in Marseille in 1978 by Jacques Saadé, is the third-largest container shipping company worldwide and number 1 in France. This year the CMA CGM Group is celebrating its 35th anniversary. The CMA CGM Group is the world’s third-largest maritime container shipping company and number one in France. From its base in Marseille, CMA CGM is present in more than 150 countries through its network of over 650 agencies, with more than 18,000 employees worldwide (4,700 in France). If you have problem with our container tracking system, please track your container directly on the CMA CGM website. If you get no tracking information from CMA CGM official website, you’d better contact CMA CGM. When you ship with CMA CGM, you will get a CMA CGM container tracking number with format CMAU1234567, CMAU is CMA CGM’s prefix. CMA CGM has ten prefix so far. They are CMAU, CGMU, ECMU, MMCU, CGHU, CGTU, AMCU, OTAU, CMNU, STMU. Know more CMA CGM container tracking number information from below picture. If you have problem with our CMA CGM Container Tracking system, submit your problem here, we will help you as soon as possible. Declare: We can NOT contact carrier or others on your behalf, we can only help you track your package with your CMA CGM Container tracking number on official tracking system. Do not have an empty return location for APHU6684680 on your web site, can you please provide this info for Kansas City. Thank you. The current status of your container is Empty in depot. I am Ikechi .S. Okere of Marik Sissal Company Ltd from Nigeria. Please I want to know the postion of my container, I have been tracking it but no information. 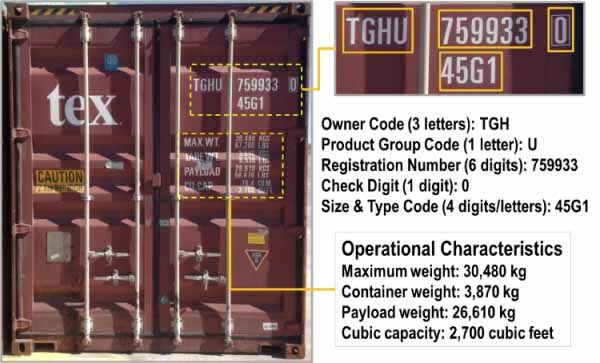 My container No is: TCNU1104432, Bill lading No. : ATZ0102086. Lease Out, On Hire Port	Ningbo.